In the first quarter of 2017 the market continued the up-trend that began the day Donald Trump was elected President. From the start of the year to March 1, 2017 the S&P 500 was up 7%. But the remainder of March was down 1% leaving the S&P 500 with a 6% gain for the quarter. Beyond the S&P 500 some market segments did better than others. Technology and healthcare performed better than the overall market (up 12% and 10%, respectively) whereas small caps (+1%), financials (+2%), and real estate (+1%) trailed. After a tough 2016 the bond market has stabilized a bit. While returns in the first quarter were not spectacular, they were positive. Most bond categories returned between +0.6% and +1%. In fact there was very little difference in returns regardless of type (government or corporate) and duration (short or long term). The only segments that did better than the rest were high yield bonds (+2%) and emerging market bonds (+4%). The real question is why has the market continued on this path? Not everything Trump has proposed will be positive for the economy, and the tactics (i.e. early attempts at immigration and healthcare reform) that he has taken in his nascent Presidency have not gone particularly well. The stock market has chosen to embrace the positives (the cannoli) and set aside the negatives (the gun). The positives, at least as far as the stock market is concerned, are prospects for infrastructure spending, lower corporate tax rates, lower personal tax rates, fairer trade policies, and fewer regulations. The negatives (depending on your political leanings), such as the potential for greater income inequality, protectionist trade policies, expanding national debt, negative impacts on the environment, drastically cut social programs, and inflation, have been for the most part cast aside. The market had been assuming that Trump would be able to get most, if not all, of what he has been espousing. But more recently we (and hopefully the President) have come to realize that there is a big difference between campaign rhetoric, or running a business, and governing. Running a business is a dictatorship. Governing a democracy is not. Whether he likes it or not he’s got to figure out how to cooperate with the legislative and judicial branches. In the end I expect that Trump will be able to get at least some of his agenda accomplished. The question is how much and will it be more cannoli or more gun? The answer to that lies in the Republican Congress’ willingness to defy Trump and not simply rubber stamp his entire agenda, and the judiciary’s resolve to uphold the Constitution. Judicial rulings against Trump’s immigration policy, the Congress’ limited support of the American Health Care Act, and early indications that Trump’s budget will not be well received all give me hope that our American system of checks and balances is alive and well. Up to now the market has risen on the assumption of cannolis. In order to keep rising we will need some real cannolis. But there is a storm cloud on the horizon. Trump’s involvement with Russia could turn out to be nothing or it could turn out to be the next Watergate. Too soon to say whether this storm will be a blizzard or will pass by uneventfully. Tempo’s three investment programs all performed well in the first quarter with the star being the Tempo Dynamic Growth Program. Dynamic Growth returned +5.1% in the first quarter, which was the highest return of the three strategies and also 1.5% ahead of its benchmark. Dynamic Growth was successful for a few reasons. First, our allocation to equities was at the maximum allowed within the strategy (60%). Second, we had a 20% allocation to technology, which was one of the best performing asset classes. Finally, our non-equity allocations were in areas of the bond market that performed particularly well (high yield bonds and emerging market bonds). Dynamic Growth accounts have been rebalanced for the second quarter based on our model and there was only modest turnover. Emerging market equities replaced emerging market bonds, and floating rate bonds replaced utilities and small caps. We are still at the maximum equity exposure. Tempo Dynamic Income also had a terrific first quarter. Our return of +2% was more than 1% better than the benchmark. We accomplished this by investing in a few areas of the fixed income markets that performed better than the pack (high yield bonds and convertible bonds). Over the past 12 months Dynamic Income accounts are up 3.3%. While this may not seem so great keep in mind that over the same time period the BarCap Aggregate Bond Index was up only 0.4%. Dynamic Income accounts have also been rebalanced for the second quarter and there was only 10% turnover, that being a 10% shift from floating rate to high yield bonds. Tempo Lifestyle accounts made between +3.5% and +4.5% for the quarter with conservative accounts at the lower end and aggressive accounts toward the higher end. From an absolute return perspective this was a successful quarter. Lifestyle was, however, the only one of Tempo’s investment programs that failed to better its benchmark. Across the board we trailed the benchmark by about half a percent. The same investment themes that have been working so well for us over the past year (higher interest rates and strong dollar) were a bit of a headwind this past quarter. I don’t expect that to be the case for very long. Despite trailing the benchmark slightly this past quarter, for the year ending March 31 we are 3.5% ahead of the benchmark. I’ll take that any time! 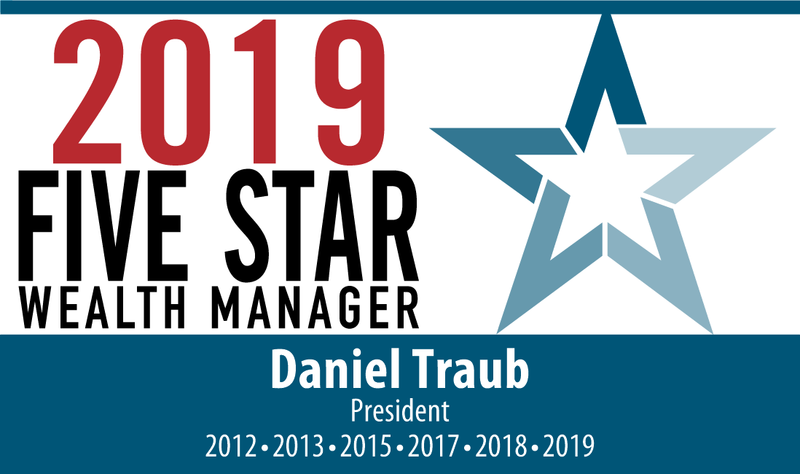 As you may know I was recently awarded the Five Star Wealth Manager Award for the sixth time. The award is nice. But it is what the award represents that is important to me. I see the award and I see happy clients. And that means I must be doing something right. Thank you!